A home can have a good foundation and a quality roof, but if the interior is drafty and uncomfortable, your home won’t be your castle. Insulation is one of your top considerations when it comes to creating a comfortable home or office building. 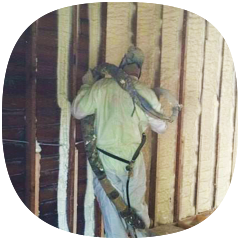 Foam insulation is one of the best types of insulation you can find. At Quality Spray Foam, we use top-quality foam insulation products such as Foamsulate™ 50 and Foamsulate™ 210 in order to eliminate drafts through walls and roofs and reduce your energy bill. Our goal is to constantly meet and exceed your expectations for quality work, product knowledge, and expert application. 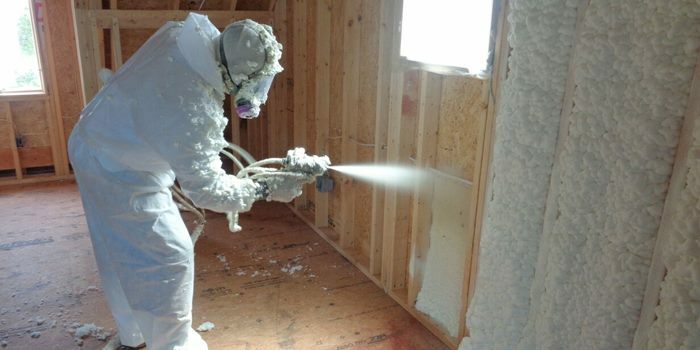 Spray foam is substantially more energy efficient than fiberglass. There is no air leakage with closed cell spray foam, and only very minimal air leakage with open cell (which still greatly outperforms fiberglass). It has a superior R-value (insulating value) versus fiberglass. Spray foam has a longer lifespan. Foam insulation can last 80+ years, whereas fiberglass has a top lifespan of only 25 years if the insulation stays dry. Spray foam insulation contributes to the structural integrity of your building—up to 250% racking strength in walls! Spray foam insulation is the best choice for residential, commercial, and industrial construction. With over a decade of experience in proper application, we guarantee you’ll be happy and satisfied with the job we do. Copyright © Quality Spray Foam, 2014. All rights reserved.